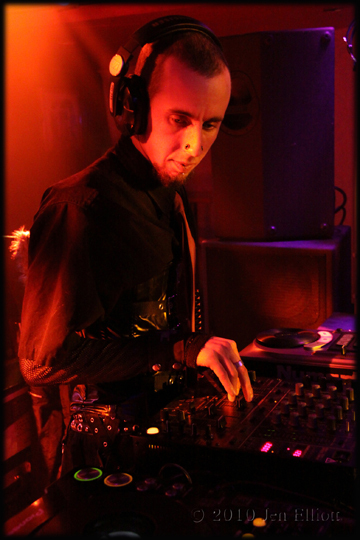 Patient Zero was involved as a Resident Descent DJ from 2008 to 2014. He was involved in some of the event planning and was a valued member of the team. He chose to step down as a Resident DJ to focus on other things and occasionally still comes out to Descent to spin. He currently works at a hazardous removal company and enjoys his time in the Goth Community. Patient Zero has been a part of the community in general since 2005. You can find him hanging out mostly at Descent and Noir. Patient Zero is fairly open and doesn’t mind if you have something specific you just want to ask. You can always ask but you may not get a solid or serious answer. He is interested in a number of different charities but is a large supporter of Cancer research. If you see Patient Zero out in the community, feel free to approach him about his musical talent and DJ services.